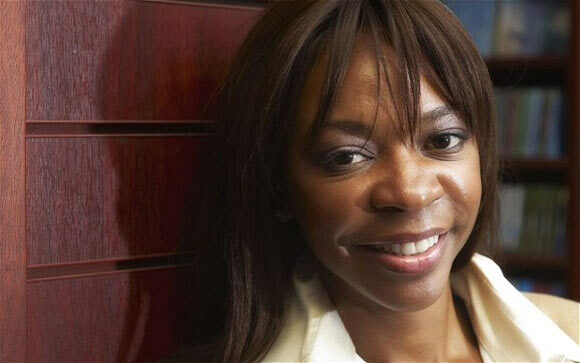 Dambisa Moyo is a prominent economist hailing from Zambia. She is known for her discerning insight in issues concerning macroeconomics, international affairs and foreign aid. She is particularly notorious for her claims that developing countries should not rely on aid to stimulate development and should instead explore other sources of growth. Moyo was born on 15 September 1969 and raised in Lusaka, Zambia. She pursued a Bachelors degree in Chemistry from the American University in Washington D.C., and subsequently attained an MBA in Finance from the same institute. Her educational endeavors continued however, as she was matriculated in Harvard University later where she obtained a Masters in Public Administration (M.P.A). Moyo also holds a PhD in Economics, a feat she accomplished at the Oxford University in England. After completing her elaborate education, Moyo gained substantial experience in the corporate environment. She was recruited by the World Bank in Washington D. C., from where she moved on to Goldman Sachs. Moyo worked at Sachs for around 8 years and dealt with matters regarding capital and debt markets, hedge funds and lead global macroeconomics teams. Moyo currently sits on the Board of Directors of Lundin Petroleum – an international corporation participating in the production and exploration of oil and gas. Whilst pursuing her professional ambitions, Dambisa Moyo has made sure to balance her career prospects with philanthropic activities. She is a member of the Board of Directors of both Lundin for Africa Foundation and Room to Read. The former went on to commit US$100 million towards microfinance initiatives in Africa whereas the latter is a charity devoted towards education. She also serves as a patron for Absolute Return for Kids (ARK), a children’s charity backed by a hedge fund. In her quest to uplift Africa from poverty and in to the realm of widespread development and growth, Moyo has called for policy makers to use more inventive approaches to help Africa finance its development. She has cited exploiting numerous capital markets, funding small scale borrowers via micro finance, and trade with China as amongst the potential measures which could be undertaken to achieve this goal. Over the course of her career, Dambisa Moyo has utilized various channels to voice out her opinions on national issues and preach her ideas. She holds experience as a lecturer on economic activity and development matters around the globe. Clearly a woman of multiple talents, she has also made a name for herself as a writer and a commentator in the field of economics. In 2009, she published Dead Aid: Why Aid is Not Working and How There is a Better Way For Africa. This was the very book in which Moyo condemned reliance on foreign aid and propagated independence via alternate strategies. That same year she was acknowledged by Oprah Winfrey in her list of 20 remarkable visionaries. Her other prominent works include ‘How the West Was Lost’ in 2011 and Winner Take All in 2012. The former scrutinizes the 2008 global financial crisis; how it came about and why policy makers didn’t foresee it. The latter delves in to China’s claim over global resources and its global connotation. The year 2009 saw Moyo be regarded as one of the Young Global Leaders by the World Economic Forum. She was also hailed by the Daily Beast as one of the great female activists globally. In 2013, Moyo received the Hayek Lifetime Achievement Award and was listed amongst the 100 most influential people in the world by Time Magazine. She will go down as one of the great African thinkers and activists in light of her contributions.